Below you fill find all funeral homes and cemeteries in or near Jasper. Jasper is also known as: Walker County / Jasper city. Their current mayor is Mayor Sonny Posey. Zip codes in the city: 35501, 35502, 35503, 35504. Collins-Burke Funeral Home is a family owned and operated funeral home serving Walker and surrounding counties.Originally located on 15th street in downtown Jasper, Collins-Burke moved into new facilties in 2004 to better server your needs. Some of the notable people born here have been: Michael Rooker (actor and voice actor), Ronnie Coleman (american football player and teacher), Jason Aaron (writer), Samuel Young (military officer), and Axe (rapper and record producer). It was disclosed by The Commercial Appeal on November 9th, 2018 that Ruby Lee Hatcher (Short) passed away in Sarah, Tennessee. Ms. Hatcher was 85 years old and was born in Jasper, AL. Send flowers to express your sympathy and honor Ruby Lee's life. It was reported on September 6th, 2018 that Danny Ray Cole died in Jasper, Alabama. Cole was 63 years old and was born in Red Bud, IL. Send flowers to express your sympathy and honor Danny Ray's life. It was revealed on August 23rd, 2018 that Danny Ray Cole passed on in Jasper, Alabama. Cole was 63 years old and was born in Sparta, IL. Send flowers to share your condolences and honor Danny Ray's life. It was revealed by The Commercial Appeal on April 5th, 2018 that Henry Herren perished in Germantown, Tennessee. Herren was 79 years old and was born in Jasper, AL. Send flowers to express your sorrow and honor Henry's life. It was disclosed by Providence Journal on December 13th, 2017 that Margaret L Inman (Guy) passed away in Providence, Rhode Island. Ms. Inman was 92 years old and was born in Jasper, AL. Send flowers to express your sympathy and honor Margaret L's life. It was disclosed by Ellensburg Daily Record on August 18th, 2017 that Martha "Dianne" Morrison passed on in Ellensburg, Washington. Morrison was 68 years old and was born in Jasper, AL. Send flowers to express your sorrow and honor Martha "Dianne"'s life. It was reported by The County Journal on June 15th, 2017 that Nancy Estelle Dunn passed away in Marissa, Illinois. Dunn was 70 years old and was born in Jasper, AL. Send flowers to express your sympathy and honor Nancy Estelle's life. It was written on March 28th, 2017 that Roy Jean Rhodes passed away in Jasper, Alabama. Rhodes was 83 years old. Send flowers to share your condolences and honor Roy Jean's life. It was disclosed by South West Times Record on January 17th, 2017 that Raymond Patrick passed on in Ft Smith, Arkansas. Patrick was 85 years old and was born in Jasper, AL. Send flowers to share your condolences and honor Raymond's life. It was noted on January 7th, 2017 that Dorothy Leona McElwee (Smudrick) passed away in Jasper, Alabama. Ms. McElwee was 87 years old and was born in Old Boston, TX. Send flowers to share your condolences and honor Dorothy Leona's life. 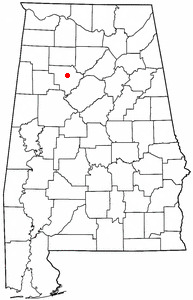 The city is the county seat of Walker County, Alabama County , and once ranked among the world's leading producers of coal. Image:Jasper sign (1 of 1).jpg‎ A welcome sign sits beside Walker High School, notating the school's state titles.Jasper, named in honor of Sergeant William Jasper, a Red Stick War soldier, was settled in 1815, but was not incorporated until 1888. As of July 1, 2006 the population had increased to 15,117. The first significiant growth of the area was realized in 1886, when the Kansas City-Memphis & Birmingham and the Sheffield & Birmingham Railroads were completed through Jasper. Jasper is a city in Walker County, Alabama, United States. At the 2000 census the population was 14,659. The official website for the city of Jasper is http://www.jaspercity.com/. Passed Away: 11/07/2010 Alexander Funeral Home of Cleveland announces the death of Mr ... Tennessee; Morgan Fraley, Jasper, Tennessee and sister Martha Jones of Hazelgreen, Alabama. Mr. Fraley is also survived by is grandson, Garrison Fraley. Listing all funeral homes in Jasper, Alabama so you can easily send flowers to any location (same day delivery) or find any funeral service. funerals in Jasper, AL 35501 on Yahoo! Local Get Ratings & Reviews on funerals with Photos, Maps, Driving Directions and more. We work with local florists and flower shops to offer same day delivery. You will find budget sympathy flowers in Jasper here. Our funeral flowers are cheap in price but not in value.